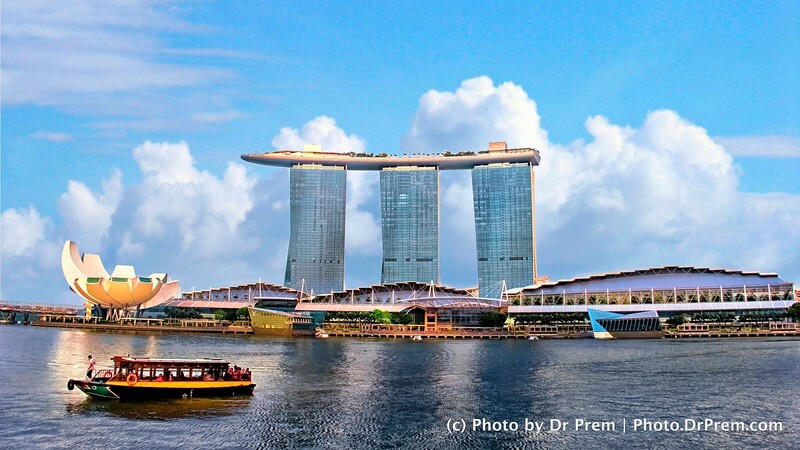 Singapore, the affluent island nation is a paradise on earth and is an ideal travel photography destination. The country has shown what money can achieve and with it coupled with the right kind of attitude, you transform your country into a blissful heaven. The country is landscaped so well that everywhere you set your eyes the surroundings would tempt a travel photographer to frame some awesome shoots. Singapore has everything that travel photography demands. The botanic and orchid gardens with a colorful blend of orchids, flowers and woods are the right places for some serious photography. The wonderful sea life do not just impress but teaches us vital lessons in life. Just as these wonderful creatures are clueless if they can live on without being eaten up by a predator, life also plays up with us. 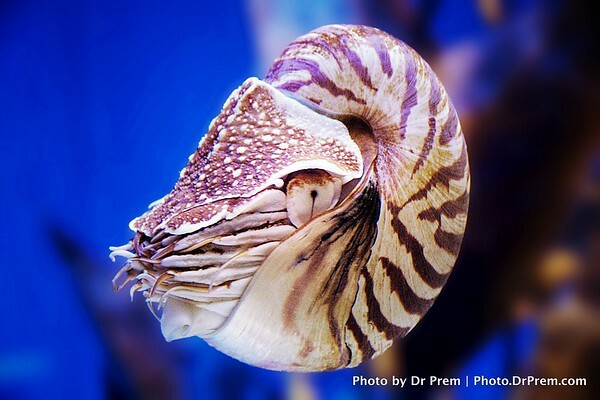 The shell and the tentacles make us wonder is any protection is ample. Does life work according to us? Or are we but playthings in its dainty hands? We wonder, do you? 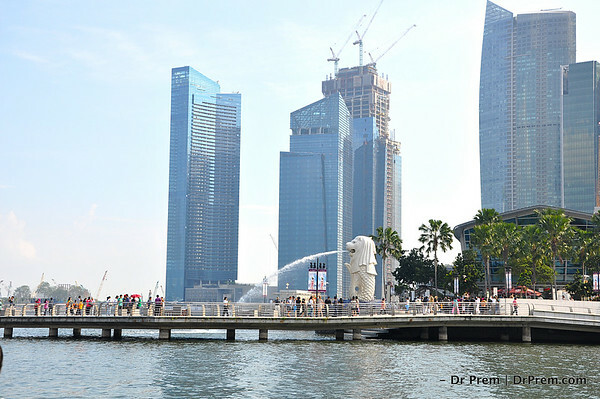 The skyscrapers and the lion fountain underline the essence of Singapore. It beguiles and its tickles our imagination. It is fun and it means business too. Welcome to Singapore. 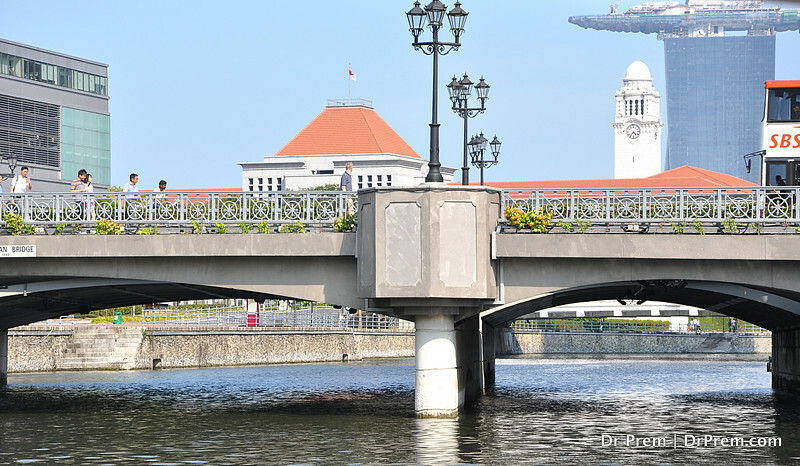 Singapore is a melting pot of cultures and this bridge seems to be an icon of how well all these have mingled. Truly amazing is the spirit of the city that never once makes you feel out from home. 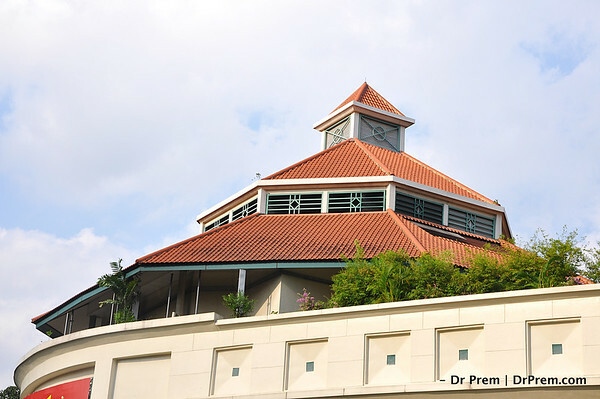 This is a Singaporean structure that reminds us how well the city has given way to progress. Along the city scape you get to see hallmarks of engineering that justify why the hub is so rich after all. As much as we love the lavish feel of this building, it reminds us of the small red huts we read about in fables. The feel is rich yet the lessons behind richness lie in their small beginnings. 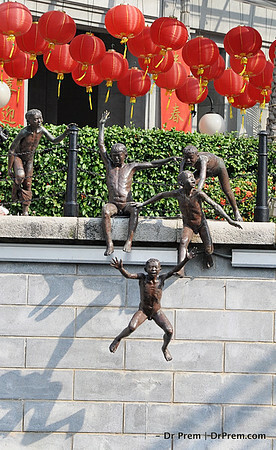 The statues are done up and leveraged in a way that you almost take a second look as to if these are real. 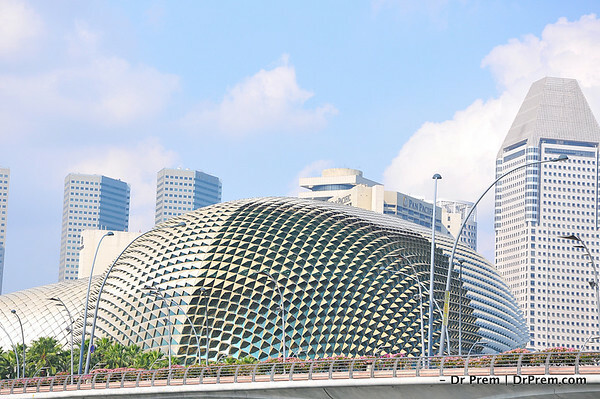 Yet another iconic piece to remember Singapore by. 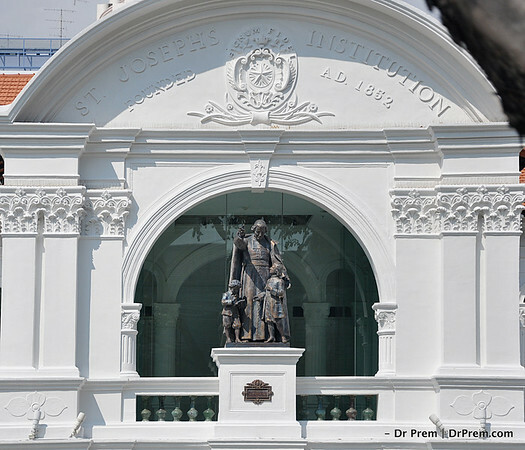 The famous St.Joseph's Institution has a grand gate. It is also notable for the statue of the guiding teacher and two pupils that reminds us of the essential lessons school teaches us. As far as the eye can see, Singapore opens up with a tall scraper touching the sky. 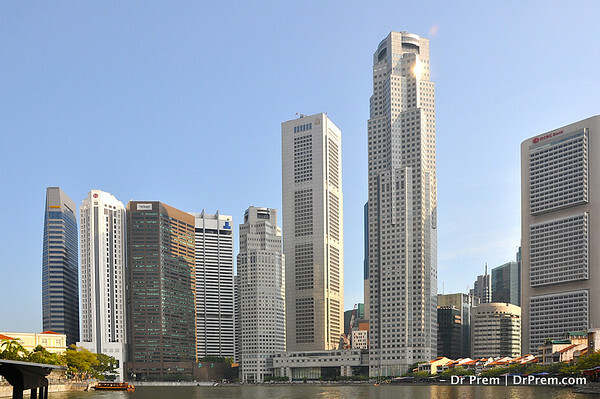 The stretches of these tall buildings symbolize progress and the ambition Singapore has vested within.